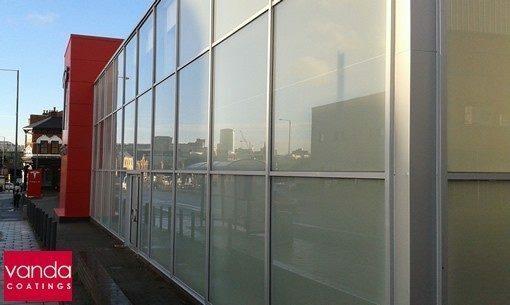 Vanda Coatings are experts in paint spraying in situ and on site electrostatic painting in Birmingham to improve the look of your business wherever you are based. Approved Certificates – Every employed member of the Vanda Coatings teams are accredited in CSCS, IPAF, PASMA and UKPIA / SPA. Hardly any Disruption – With our teams able to work around the clock, you won’t even need to close your business. Comprehensively Insured – Vanda Coatings holds a ten million pound public and employers liability insurance enabling us to work in any environment. Vanda Coatings have been running since 1997 and we are proficient at spraying in all types of commercial and industrial situations with minimal disruption. Vanda Coatings are the leaders in electrostatic painting in Birmingham. The specialised approach in coating metal reduces the amount of overspray resulting from other means and the results are durable as well as cost effective. The professional sprayers employed by Vanda Coatings can work on your site in and around Birmingham. For cladding that has seen better days we can re-coat plastisol, kingspan and PVF2 to prevent it from declining in appearance. We are experts in paint spraying shop fronts in Birmingham, roller shutters and any signage. There will be the lowest possible level of disruption because our professional teams work on-site around the clock. Our experienced crew will re-spray suspended ceiling tiles throughout Birmingham. Whether your tiles are metal pan type or mineral fibre we will refurbish your ceiling in-situ.